Quantity:1Set(50Pcs). 1Set(50Pcs) x Sticker Thermal. And due to the difference between different monitors, the picture may not reflect the actual color of the item. Also note that monitor settings may vary from computer to computer and may distort actual colors. 1x Horizontal CPU Cooler. Application: Processor. 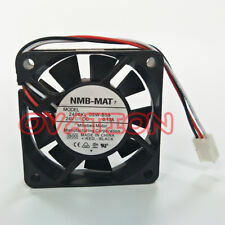 Fan: 120 120 25mm/ 4.72" 4.72" 0.98". Fan Life: 50000 hrs. 12CM silent fan with built-in solid state silent capacitor. -The color of the item may vary slightly due to photography and different PC monitor. Rubber fan mount screw for your computer PC case. The rubber fan mounts help stop vibration which runs more quiet and makes it easy to install a fan in your PC case. 10PCSRubber Cooling Fan Mounts. We would try our best to help you solving any problem. 1 x LED Fan. Sound Level; 17.9 dBA. Due to the difference between different monitors, the picture may not reflect the actual color of the item. Power Usage: 0.18A. Crrence：0.18A. Connector: 3 and 4pin connector. RGB light, 256 multiple colors changed automatically. Light Color: RGB (auto). Adopt s bilateral aluminum magnesium alloy material for better cooling effect. 2 M emory Cooler Heat Sink s. S mall 4 pin motherboard port for connect ing more ports. Suitable for Raspberry Pi B / Raspberry Pi B / Raspberry Pi A / Raspberry Pi 2/Raspberry Pi 3. 8 Screws Parts. 1 Cooling Fan. Connector: 2 pin. Size (L x W x H): Approx. Color: black. Material: plastic. Bearing Type: Hydraumatic Bearing. 1 x Computer CPU Cooling Fan. It is best choice for your product cooling. Help push the hot air out of your computer when mounted on the back or draw in fresh air if you mount it at the front of the case. Suitable for Raspberry Pi B / Raspberry Pi B / Raspberry Pi A / Raspberry Pi 2/Raspberry Pi 3. 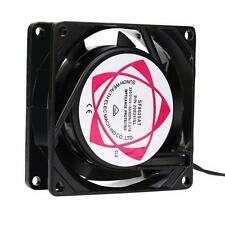 1PC Cooling fan. Size (L x W x H): Approx. Also note that monitor settings may vary from computer to computer and may distort actual colors. Perfect for DIY amateur. The silicone screw reduce noise of the fan and shock absorption between the fan and the PC case. You can easily fix the fan on the PC case with these screws to avoid vibration. Your kindly understanding would be appreciated. -The color of the item may vary slightly due to photography and different PC monitor. Detail Image. 10 x CPU Plastic Protection Box （CPU is not include）. Note: CPU is not include. Material：Plastic. We would try our best to help you solving any problem. We will do our best to help you to resolve your problems. 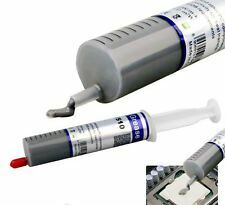 1 x Thermal Grease. High Thermal Conductivity. Thermal Conductivity >1.8 W/m-K. Thermal Impedance: <0.123 C-in-2/W. Easy to Apply. protects against UPC Over heat. Technical Data. Note: 30pcs/set heatsink only, Raspberry Pi Board and enclosure are Not Included. 3 pcs Cooling Aluminium Heatsinks Heat Sink for Raspberry Pi Ver. Help keep your Pi cool while overclocking! Material: Aluminium. It can solve laptop frequent crashes and other problems caused by thermal conductivity. Material: copper. Anyway we will try our best to avoid this kind of thing. The surface is flat and bright. Due to the light and screen difference, the item's color may be slightly different from the pictures. Input:DC 5V,0.75A. 1 x USB Computer Case Cooling Fan. -Use for computer case cooling fan. -Connector Type:USB. -Unique fan blade to reduce turbulence and noise. We will try our best to reduce the risk of the custom duties. Industrial 120 x 120 x 25mm 0.1A AC 220-240V Cooling FanThis AC axial flow fan is specially designed for using in Equipment and hinery where heat elimination or ventilation is required, the applications including in personal computers, Audio & Video Products, Automobiles, and so on. Please to check the voltage before buying this item. Electricity is 50/60Hz. Cable Length : 28cm Brand Unbranded MPN Does not apply UPC 4894462033876 EAN 4894462033876 ISBN 4894462033876 Designer/Brand Unbranded. 2 x 40MM x 40MM x 10 MM FANS. 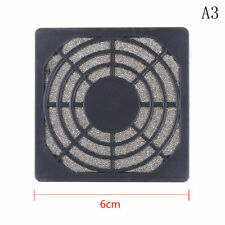 Fan Size: 40 x 40 x 10mm. The installation is simple, plug in the cable, find a suitable place for the fan, fix it to the case and that's it, done. We are proud to present the best cooling device for your perfect computer. HEATSINK FROM FUJITSU CELSIUS M470-2. 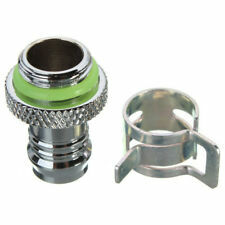 Product details and specifications are downloaded from the internet. In order to avoid potential problems or future conflict on every item, our warranty sticker is placed. 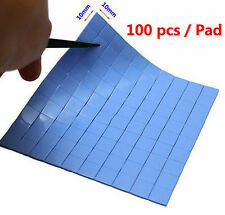 Thermal conductive double-sided tape can die-cut products can be pre-placed in any shape for future use. High thermal conductivity and stability, its service life than the general thermal double-sided stickers long, at room temperature (80-120 ℃) for at least 5 years. Color: black. SKU: 233-052. Weight: 50 g.
Connector: 3 and 4pin connector. 1 x LED Fan. 120x 120 x 25mm. Sound Level; 17.9 dBA. Color: Red. AMD Socket FM1/AM3 /AM3/AM2 /AM2. Fan speed:2200RPM±10%. The real color of the item may be slightly different from the pictures shown on website caused by many factors such as brightness of your monitor and light brightness. 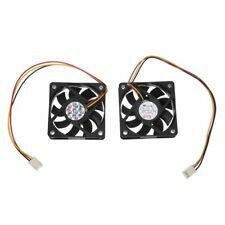 Dual LED Ring Fan. Dual Halo RGB Light shows vivid visual effect. 3 x RGB PC Fans. Model Number: cooling fan. Wide Compatibility: PC case fan is compatible with all types of chassis and easy to install. Silent fan with built-in solid state silent capacitor. Type: CPU Cooler. 1 x CPU Cooler. Heatsink Material: Copper Aluminum. Pure copper heatsink accelerates heat dissipation. Power: 12V DC. Fan: 90x90x25mm. Model: HY610. (1) HY610 golden thermal conductivity and thermal paste using good insulation. Thermal paste is a material used to fill the voids between the CPU and the heat sink. Has excellent thermal conductivity, thermal conductivity greater than 3.05W / (mk);. 1 x Silicone Heatsink Plaster. Capacity: 10g. Despite it being an adhesive, removal is as easy as a thermal pad, without leaving residue behind. The color may have different as the difference display,pls understand. 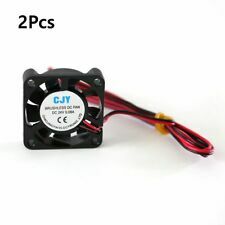 1pc Coolling Fan. 6PCS 6MM heat pipe design, superior thermal performance. Thermal resistance:0.18（℃/W）. Material: Copper,Aluminum. Fan speed:2200RPM±10%. Due to the light and screen difference, the item's color may be slightly different from the pictures. 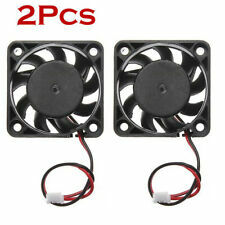 12V DC 3 Pin 6cm 60mm x 15mm Cooling Fan. • Cable Lenght 20cm. • Fan manufacturer may very but fan is identical. • Fan can be noisy at full speed. • Fan Size 60x60x15mm. • Fan speed 3500RPM±10%. • Power connector 3 pin.